Fnar Dawnglory in all his glory – just letting you have a glimpse of our outspoken fellow as he struts his stuff in Pandaria. This poor fellow has been slapped so many times for just saying hello that I’m amazed he’s made it this far – maybe it’s just the way he says “hello”. 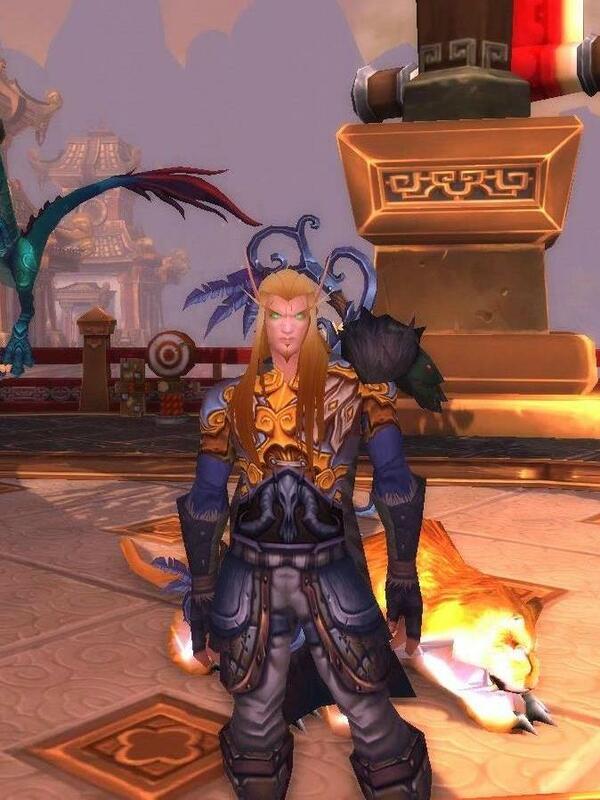 This entry was posted in Fnar Dawnglory, Winds of War and tagged Blood Elves, Fnar Dawnglory, Role Playing, World of Warcraft. Bookmark the permalink. LOL thanks, he doesn’t think he’s ugly either*hairflips* We’ll definitely have to get together soon for some more RP.